SEOUL–North Korean border guards were only steps behind a North Korean soldier when they opened fire and one briefly crossed the border pursuing the wounded defector as he dashed to the South Korean side, revealed a video released on Wednesday, Nov. 22, by the U.N. Command (UNC) in Seoul. The defecting soldier, whose rank and identity have not been disclosed, was critically wounded, having been hit five or six times in the hail of bullets as he made his desperate escape on Nov. 13. He was flown by a U.S. military helicopter to a hospital in Suwon, south of Seoul. Doctors announced on Nov. 22 that he had regained consciousness, having had two operations to extract the bullets, and his breathing was stable and unassisted. An official from UNC said North Korea had been informed on Nov. 22 that it had violated the 1953 armistice agreement, which marked the cessation of hostilities in the Korean War. The UNC official told a news conference that a soldier from the North Korean People’s Army (KPA) had crossed the Military Demarcation Line (MDL), the border between the two Koreas, for a few seconds as others fired shots at the defecting soldier. “The key findings of the special investigation team are that the KPA violated the armistice agreement by one, firing weapons across the MDL, and two, by actually crossing the MDL temporarily,” Chad Carroll, Director of Public Affairs for the UNC, told reporters. 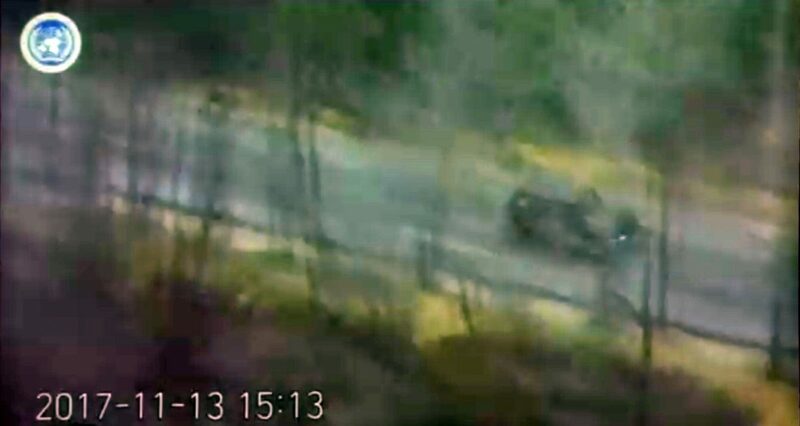 The dramatic video showed a military vehicle speeding toward the border, passing checkpoints manned by North Korean guards before appearing to get stuck in a ditch. 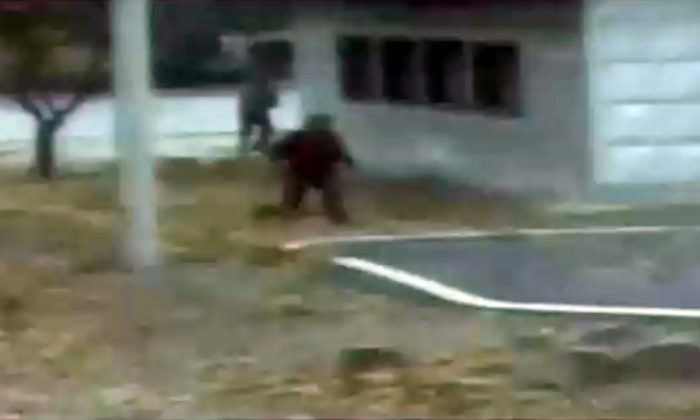 North Korean soldiers were only a few meters away when the defector jumped from the vehicle and fled on foot, scrambling up slightly rising ground to cross the border. Moments after this a handful of North Korean soldiers are seen running to toward the abandoned vehicle and stopping to open fire, though one appears to briefly cross the dividing line between the two countries before turning around. The video does not show the moment when the defector was hit, but he is seen lying motionless next to a concrete wall in one of the later edited clips in the video. 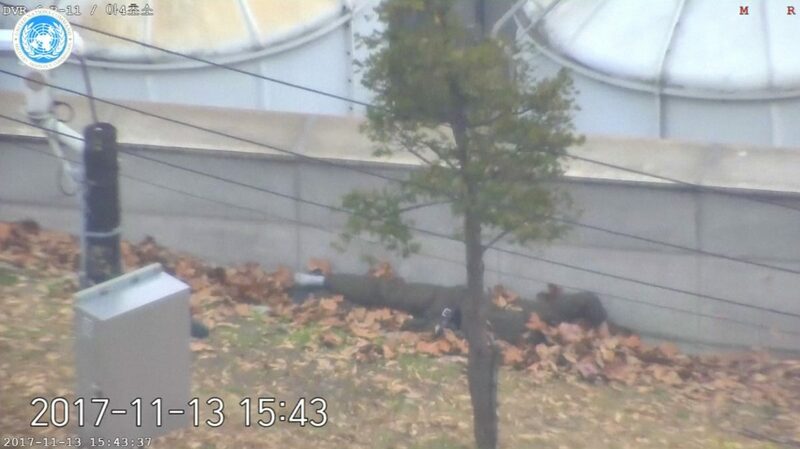 Three South Korean soldiers, including the deputy commander of the border security unit, are seen crawling through undergrowth to drag the wounded North Korean to safety. Doctors conducted a series of surgeries on the critically wounded soldier, and now say they believe he will recover, despite continued risks of infection. “Patient requires intensive care, detailed tests and observation as there is a chance his condition may worsen due to infections of his bullet wounds,” the hospital said in a statement. The soldier shows signs of depression and possible trauma, in addition to a serious case of parasites that has complicated his treatment, the hospital said.